So elegant! 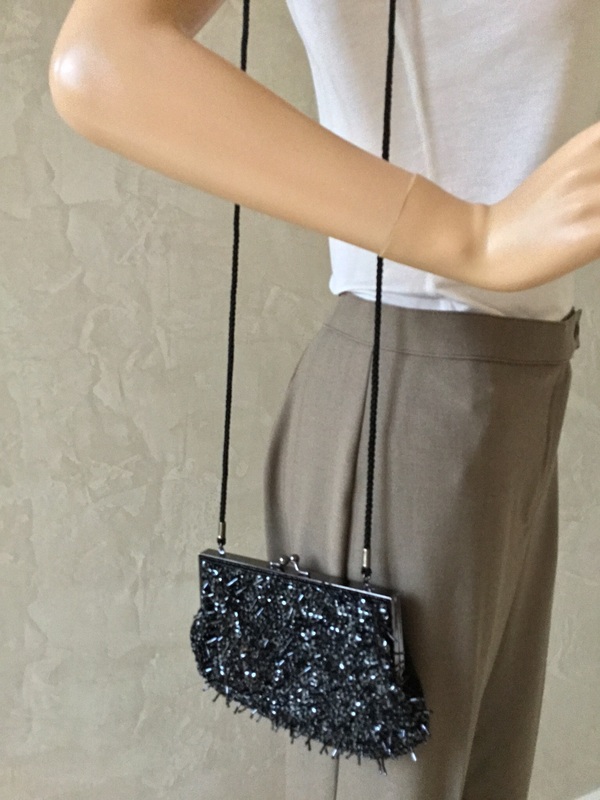 This wonderful purse can also be used as a clutch. It is 8 inches across, 5 1/2 inches high and has a 23 inch strap drop.